October is Breast Cancer Awareness Month. 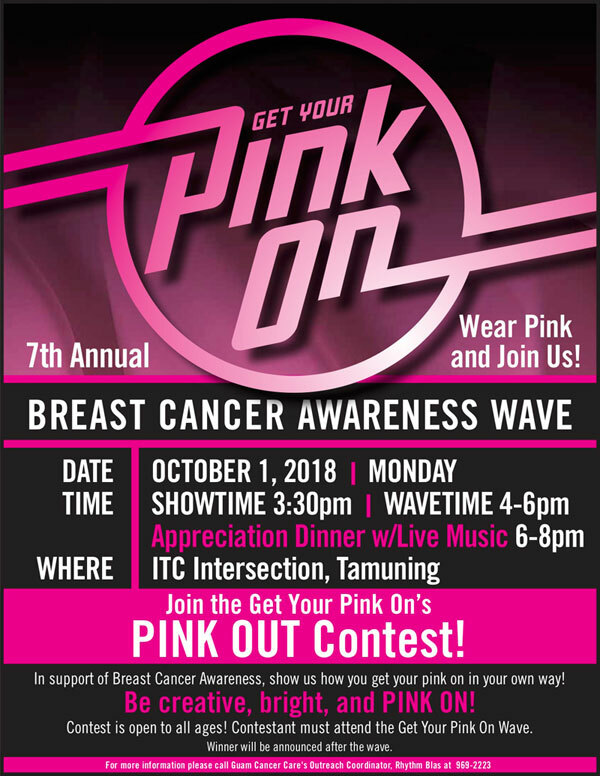 Join Guam Cancer Care and hundreds of Guam residents who will be standing together alongside Warriors & Survivors, raising awareness about breast cancer at the “Get Your Pink On” Wave. Let us show these women that they DO NOT stand alone and that they have the entire community supporting them. Wear pink and join us in our fight against breast cancer.